The game has evolved over the years, as has the approach to success. The paradigm has now shifted; we now know that coaches are looking for players that possess physical tools like arm strength, bat speed and foot speed. You will be measured and compared by these physical attributes not batting averages or wins and losses. It is very important that your preparation incorporate the training protocols necessary for the development of these tools. 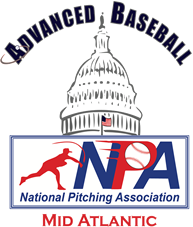 At Advanced Baseball, players are placed through a complete array of tests usually reserved for the best players in the world. We have one of the most technologically advanced evaluation processes in existence focusing on swing and throwing efficiencies. By assessing a "total picture" of your body we will recommend one of our training programs. The goal is to isolate the physical limitations, as well as the development of the corrective protocols for performance enhancement. The design of our performance programs require adherence to certain training principles, modalities, and exercise prescriptions. Baseball as with any sport is specialized in terms of the requirements from the kinetic chain. Your swing and or throwing mechanics are as unique as your fingerprints; we utilize our proprietary programs to develop a system of training in order for the player to be biomechanically efficient and powerful. Reactive Neuromuscular Training (RNT) is a technique that is built into all of our programs; this combines motor learning skill training and functional strength conditioning to effectively enhance the body's hierarchy of motor learning and neuromuscular input. These techniques are designed to limit the verbal methods of teaching movement by forcing the individual to react to a feel and visual stimulus in order to self-correct. Genetics absolutely play a part in performance-based activities. There are some people, who with all the training in the world will never achieve the highest level of performance. There are others who will achieve it with little training. The vast majority of people, however, lie somewhere in the middle. This is good news as it means that intelligent training can harvest huge results. This is where performance training and strength and conditioning comes into play. 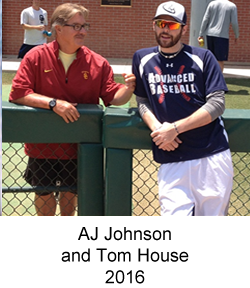 As baseball performance trainers, our job is very simple in theory. We examine your baseball movements, sometimes quite complex, sometimes quite simple, and try to deconstruct what the body is doing, both internally and externally. Once this analysis is complete, we can then start the enhancement of these movements. Our programs will seamlessly integrate with your existing team and practices and we know this process will translate to success on the field.